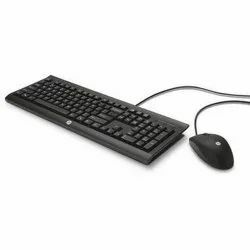 This HP 803180-001 black keyboard delivers comfort and convenience - with a style that will complement any desktop! Its fold-out feet and slim design provide superior comfort for all computer users! Manufactured For USA Market Now In India, Imported QualityLong PS2 Cable | HP Brown Box. 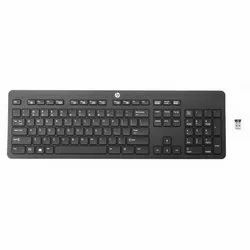 We are the most trusted name amongst the topmost companies in this business, instrumental in offering a high-quality array of HP Computer Keyboard. Features a full range of 109 keys, including 12 working function keys and 3 hot keys. Natural contours and shape allow the keyboard to sit in a comfortable position for your wrist and hands. Connection is a breeze with USB connectivity so you can get up and running fast.